One of the restaurants on the Riverfront Park Plaza has grown. McLoughlin’s took over the retail space that Community Banks use to occupy. They reopened about a week ago and it looks great. The neighborhood bar is now 2.5 times the size and has two bars! A new and improved menu and a friendly staff make this a great place to hang out. Don’t forget about their 2 for 1 drink specials every day from 3-7. I hope to see you there! This Thursday, the Riverfront Park Social Club will be putting on a movie night for the neighborhood residents. 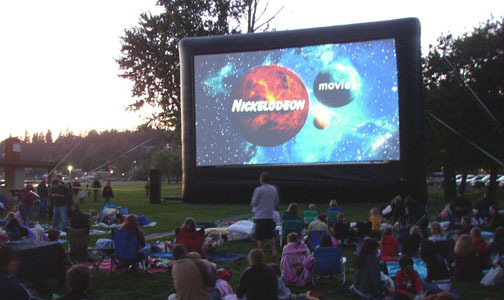 On the grass park behind the Riverfront Tower building we will set up an inflatable screen to show The Hunger Games. This is open to everyone and you can bring your own cooler for refreshments. Popcorn will be provided and the movie will start at sunset. 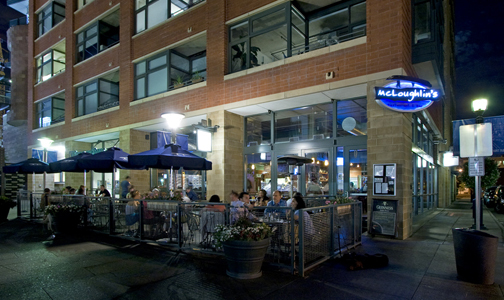 Residents are encouraged to stop by McLaughlin’s or Zengo prior to the movie for happy hour or quick bite. You can set up your chairs and blanket starting at 5:00 PM. I hope you can make it. The Riverfront Park Social Club is funded by the Riverfront Park Community Foundation. 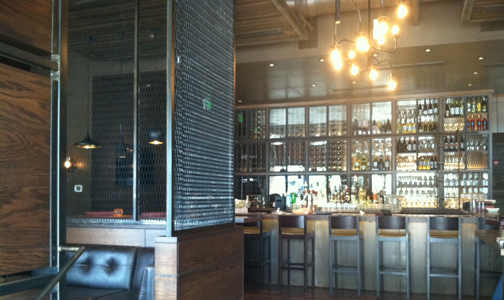 Riverfront Park’s newest restaurant al Lado is now open! This is the newest of the Richard Sandoval restaurants that also include La Sandia, Tamayo, Zengo and many others around the country. Al Lado meaning “on the side” will feature a wonderful selection of wines, house-made sangrias and delicious Spanish tapas. I’m so excited for the new addition to the neighborhood and I’m sure it will be a huge success. al Lado is open daily at 5:00 PM. The parcel of land located on 20th and Little Raven owned by AMLI, a Chicago-based developer, has broken ground. The 2.67 acre property was sold in December for $9 million. The project planned for Riverfront Park will be a 242-unit apartment complex that is five stories tall and has 344 parking spaces. 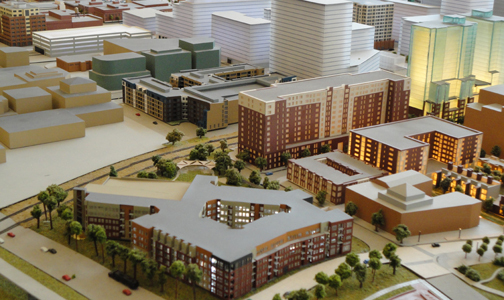 The ground breaking comes just weeks after the completion of the Manhattan Phase 2. This project is another step to Riverfront Park’s master plan being complete. 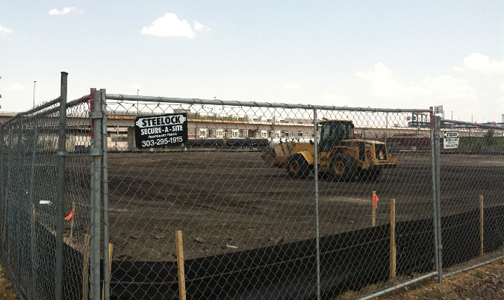 There are only three parcels of undeveloped land left in the neighborhood! With the trend of young professionals moving to the city, experts are confident that these units will be absorbed quickly and the market will not be overbuilt.